Visitation will be held from 10 AM until the time of the service. Mrs. Mary Helen Dine (née Savickas) died peacefully in her sleep on February 24, 2018 in Hudsonville, MI at the age of 68. Mary is survived by her husband, Harold; son and daughter in law, Sean and Amanda Dine; daughter and son in law, Amy Dine and Gregory Groth; grandchildren, Shane and Sage Groth, Alhana, Jasmine, and Clark Dine; siblings, Jean and Doug Bressler, Pete and Diane Savickas, Rich and Loretta Savickas, Joe and Grace Savickas, Teri and Steve Coker, Rose Phelps, Fran and Paul Hayes, Lynn and Roy Stowe, Barb and Don Pant, Greg and Lisa Savickas, Tony and Linda Savickas, Philip and Cherri Savickas, Margie and Mike Orlikowski; and many nieces, nephews, and cousins. She is preceded in death by her parents, Peter and Elizabeth Savickas and her sister Deb Elenbaas. Mary was born on August 1, 1949 in Grand Rapids, MI to Peter and Elizabeth Savickas. She graduated from West Catholic High School in 1967. She married Harold, her high school sweetheart in 1968. Over the course of 17 years, the couple welcomed over 400 foster children into their home and Mary set about raising them with values and love. Her children remember her as a kind and giving mother who encouraged them to pursue their goals. At the end of her time as a foster parent, Mary began working for Paws with a Cause as an Administrative Assistant and was often the first person that would greet you in their facility. Mary was a fantastic cook and hostess who often hosted large family gatherings, where she would be heard saying “The more the merrier” in regards to her guests. She was a generous individual who loved kids and who was passionate about enriching the lives of those closest to her. 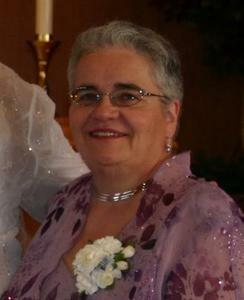 She was an active and dedicated member of the Georgetown United Methodist Church. A funeral is scheduled for 11:00 am Saturday, March 3, 2018 at Georgetown United Methodist, with visitation beginning at 10:00 am and a luncheon following the service. Pastor Jennie Browne will officiate the ceremony. All are welcome to attend and celebrate Mary’s life. Contributions in her name may be made to PAWS with a Cause or to the family to offset costs associated with the funeral.